Media Call Kamala Harris, Barack Obama, Tiger Woods 'Black' -- But Not Naomi Osaka? 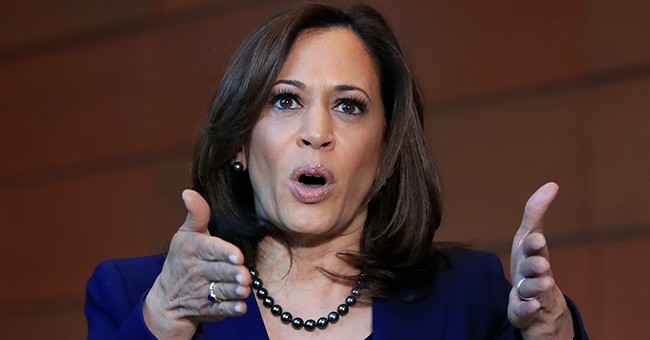 When Sen. Kamala Harris, D-Calif., announced her candidacy for the 2020 presidential race, MSNBC's Chris Matthews asked a black guest whether Harris is "seen as African-American." The guest promptly assured a relieved Matthew: "Yes, I think she's seen as African-American. The fact that she was at Howard University today ... when she did her announcement press conference, she's going to South Carolina in the first week -- she's really planting her feet in the African-American community." Mother Jones magazine called Harris "a woman of color" who attended Howard University, where she "was inspired by a strong legacy of black achievement." Being "African-American" or "black" is an important factor to Democrats, for whom white men need not apply -- unless you're Joe Biden. But Matthews poses an interesting question. Harris was born in Oakland, California. "Kamala" is a Sanskrit name meaning "lotus." Her mother is from India, her father from Jamaica. The Wall Street Journal describes Harris as "an African-American." An Oprah Magazine piece, however, updated after Harris' recent announcement, checked off several race/ethnicity boxes: "(Harris is) currently (California's) first African-American senator and the country's first South Asian-American senator. And now, with a 2020 run, she could be our first black female president." So, she's African-American, black and South Asian-American. So, do the media describe Harris and Obama as black because that's their preference? Is that the rule, then -- that one is racially described the way one wants? If so, explain Tiger Woods. Woods' mother, Kultida Woods, says Tiger is "more Asian." She added, "A mother raises her son, and he had an Asian mother.'" But ESPN quoted Karen Narasaki, the former executive director of the Asian Americans Advancing Justice, who said: "Tiger Woods can call himself what he wants to call himself -- to most of America, he's black. Asian-American groups have thought to give him awards, but as far as I know he hasn't showed up to pick one up." In 2016, ESPN, along with other media outlets, ran an Associated Press story that described a book Woods planned to write about "when he broke 20 records and became the first player of black heritage to win a major championship." So much for Kultida's perspective, so much for Woods' preference for "Cablinasian." "Black" it is.